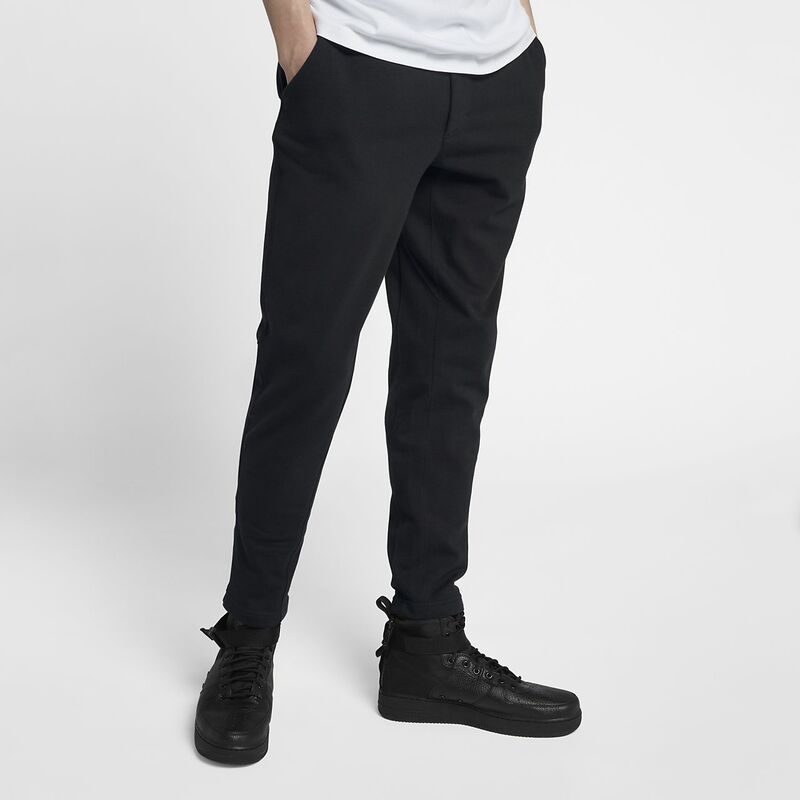 The NikeLab Collection Trousers feature stretch French terry fleece with a tapered leg and standard fit to give you the room you need for comfort and mobility. An elastic waistband with an interior drawcord helps you find your ideal fit. Slash pockets on the side and back welt pockets add extra storage. NikeLab drawcord aglets and a Futura 90 logo on the left hip provide subtle accents to this minimal piece. Fabric: Body: 97% cotton/3% elastane. Pocket bags: 100% cotton. Have your say. Be the first to review the NikeLab Collection.